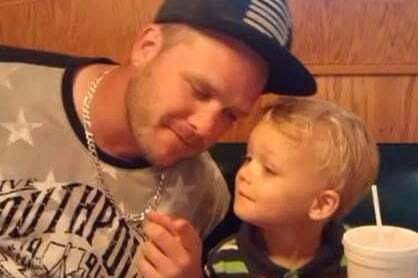 Pictured, Mount Morris, Michigan man, Kenneth Andrew White and his five year old son. Image via GoFundme. 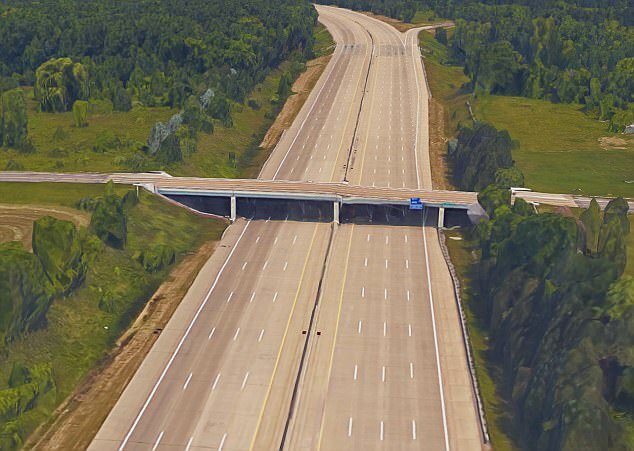 Kenneth Andrew White Michigan passenger killed by rock thrown from overpass: What led to a group of teens throwing rocks at oncoming traffic? 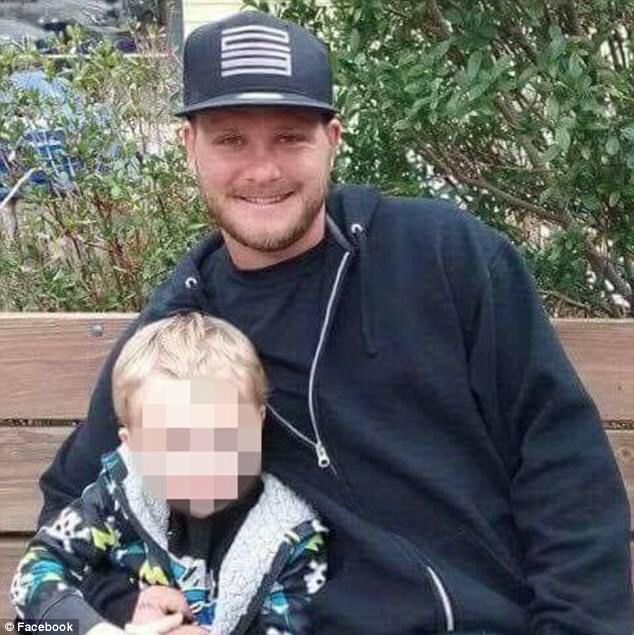 Kenneth Andrew White a 32 year old Mount Morris, Michigan man has died after a rock thrown from an overpass smashed through a car windshield, Wednesday night killing him. 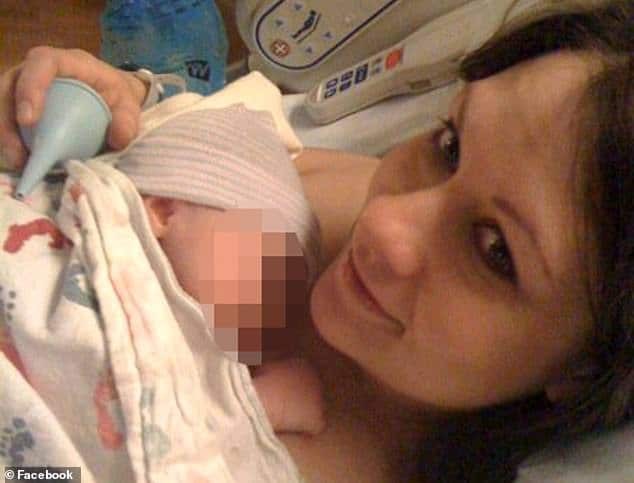 The father of four was on his way home from a construction job, when a large rock struck him on the head. At the time, White had been sitting in the passenger seat as the vehicle he was traveling in was making its way along Interstate 75. The tragedy occurred with Kenneth White less than ten minutes away from home. The Genesse County Sheriff’s Office determined the rock striking White after a group of teenagers had thrown the heavy object from an overpass against oncoming traffic. Despite being rushed to Hurley Medical Center, White was pronounced dead. Officers said the incident happened just before 8.30pm on Wednesday near the Dodge Road overpass in Vienna Township, which is about 16 miles from Flint. Photos of the scene show a gaping hole in the windshield of a white van with a ladder fastened on top. Two large rocks were also found on the highway. Kenneth Andrew White death: Thrown rocks were as big as volleyballs and weighed 60 pounds. According to MLive, there were four other vehicles that reported hitting other large rocks on the highway. One of those individuals was Jim Schultz who shared photos of his vehicle on Facebook, along with the rock that he hit while driving. ‘Someone threw boulders off the overpass and I saw two come down and ran over one,’ Schultz wrote. Police said they believe that the rocks, some the size of a volleyball and weighing from 40- 60 pounds may have been taken from another location and thrown off the overpass. 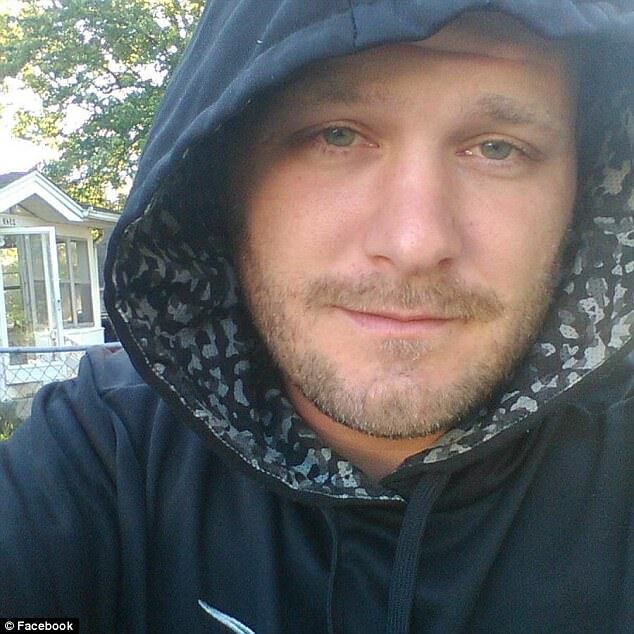 Pictured, Mount Morris, Michigan man, Kenneth Andrew White. Authorities said several teens believed to be connected to the incident are now in custody. WXYZ reported police saying the teens threw the rocks as part of a prank. Authorities did not release any more information. The incident is being investigated as a potential homicide. A GoFundMe account was set up for White’s family to help with his burial. Kenneth White’s youngest child is five years old. As of Friday evening, EST, $13.7K of a $19,000 goal had been donated. There is also a $2,500 reward and tipsters can call Crime Stoppers at 1-800-422-5244. Pictured the Dodge Road overpass along Interstate I-75 at Vienna Township where rocks had been thrown, Wednesday night, leading to the death of Kenneth White.